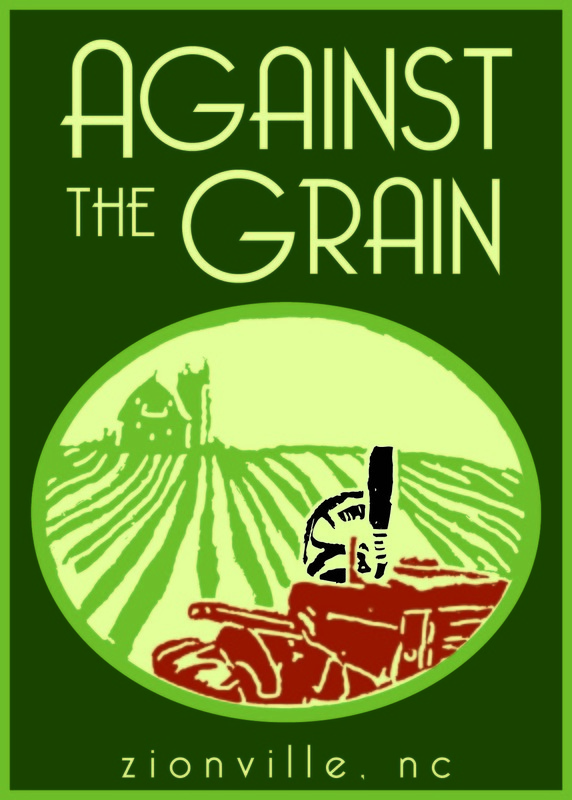 Against the Grain is a small, diversified farm located on 20 acres. Come tour our vegetable and high tunnel production, learn about our home goat dairy herd, and hear about our seed saving techniques. 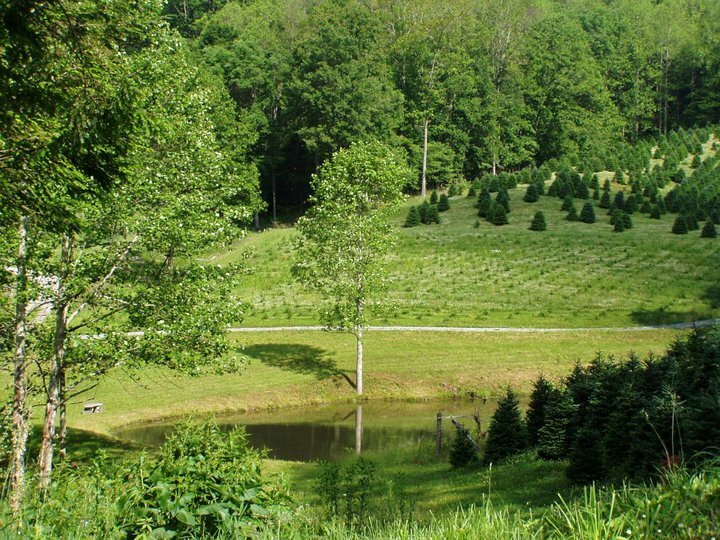 Bring a blanket and picnic in the shade by the creek or hike to the top of the hill for a sweeping vista of the farm! As a brewery, meeting place, and constituent of the community, we’re about so much. First off, we love beer! Keeping a fridge full of tasty brew is standard practice to continuously expand and refine our palates so we can bring you the best beer around. We also love to talk and teach beer. Explaining the brewing process and our humble opinions about the best (and worst!) hops are standard ice-breakers. We love converting the lite-lager drinkers into hoppy beer drinkers, one IBU at a time. 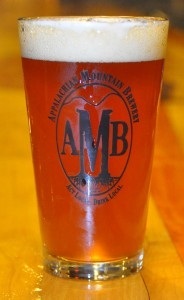 Beyond beer, we believe in living healthy and local lifestyles. 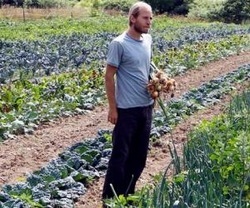 From growing our own food in the garden and being energy-efficiency minded, we try to stay local. 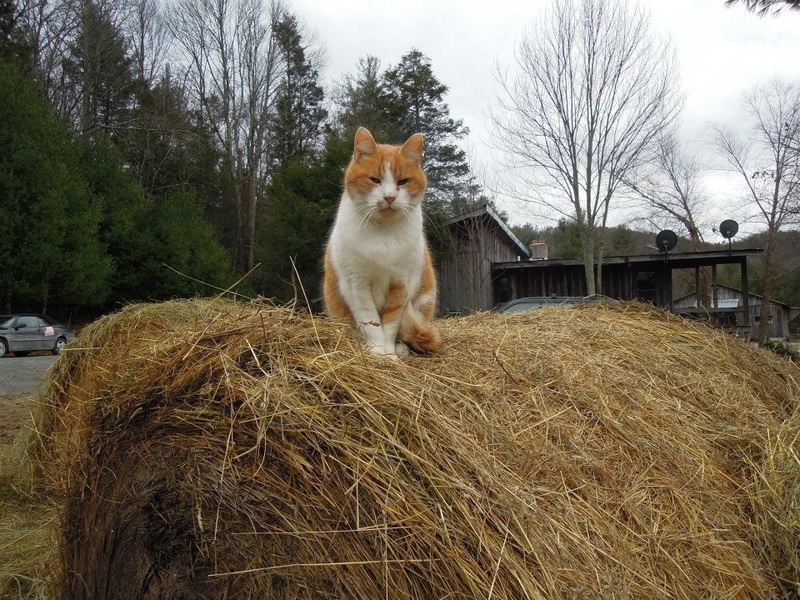 A Yokel Farm is a perfect example that small can be beautiful. We have maximized our farm by carefully utilizing one acre of flat ground to produce a wide range of produce as well cut flowers while maintaining a flock of free range chickens. Our microfarm works just as hard as any other and can produce a substantial amount of food as well as enjoyment. Come out and see us! 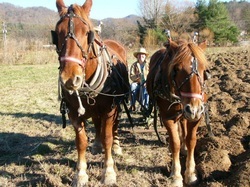 Guests will be invited to take a hay ride around the 26 ac. farm and visit the fields of Christmas trees that will be open for the 2013 Choose and Cut season beginning the weekend prior to Thanksgiving. 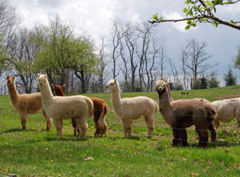 The craft shop will also be open for the farm tour weekend offering locally made crafts such as pottery and jewelry. Also if the rental cabin is not occupied for the weekend, guests will be allowed to tour the Songbird Cabin and enjoy refreshments while enjoying a longrange view of Grandfather Mountain and Ski Beech. F.A.R.M. Cafe's "The Garden Spot"
Located in the beautiful valley of historic Valle Crucis, directly behind the original Mast General Store, the Garden Spot is a half-acre organic garden producing vegetables, fruits, and herbs which are served at the F.A.R.M. Cafe. As a non-profit, pay-what-you-can community kitchen located in downtown Boone, F.A.R.M. Cafe provides high quality and delicious meals served in a restaurant where everybody eats, regardless of means. On display will be the Full Belly Project's solar-powered water pump that irrigates the garden using the sun's energy. This innovative technology is used in 30 countries around the world-- come see it in action! The garden was created in 2012 using donated, recycled, and reused materials and volunteer help. The garden continues to rely on volunteer support and is a true example of the community coming together for the greater good. 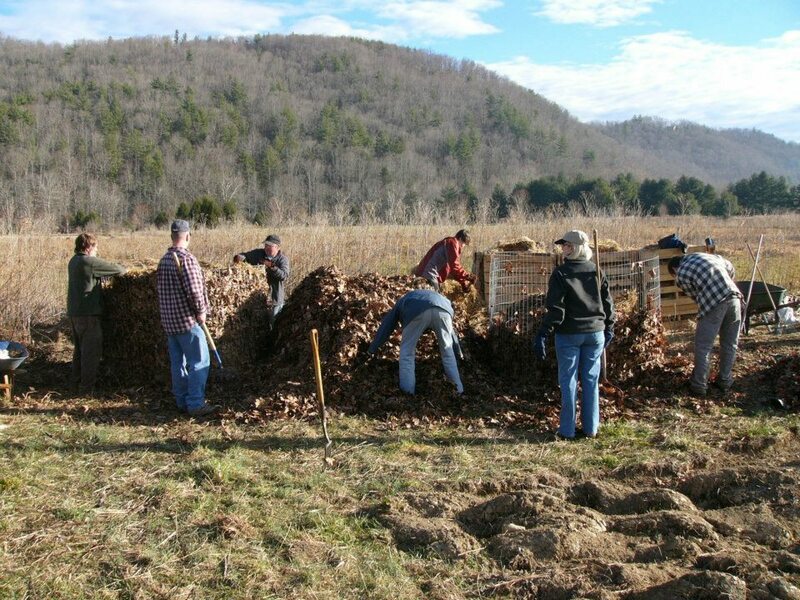 In January 2012, Maverick Farms, in partnership with Appalachian State University's Sustainable Development Program and the Valle Crucis Conference Center, launched a new program for the High Country aimed at growing new farmers: the Farm Incubator and Grower (FIG) Project. 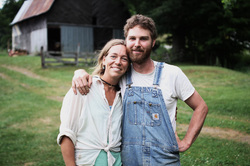 FIG provides low-cost land leases for vegetable, cut flower, herb, and pasture-based animal farm ventures as well as a shared equipment pool and mentorship opportunities for beginning farmers. 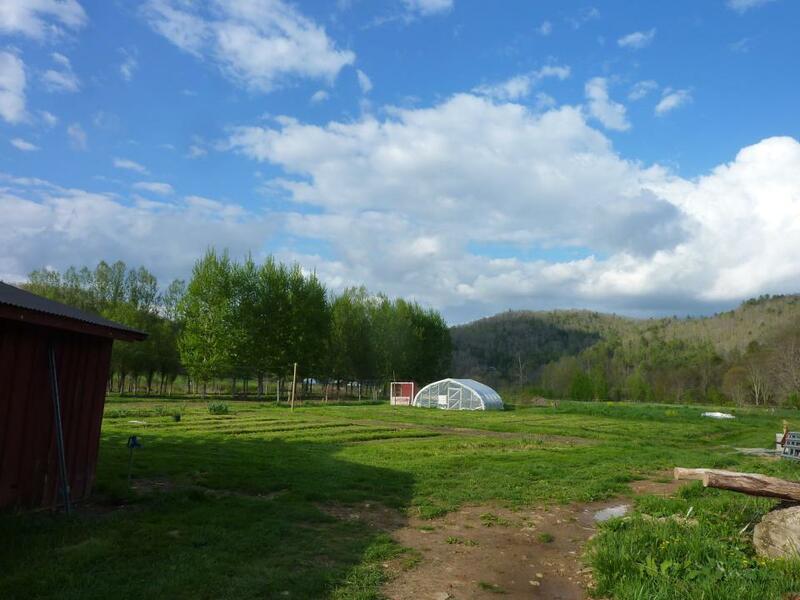 The new FIG Farm is located in the heart of Valle Crucis, on the site of the former ASU Teaching & Research Farm, on land owned by the Valle Crucis Conference Center. 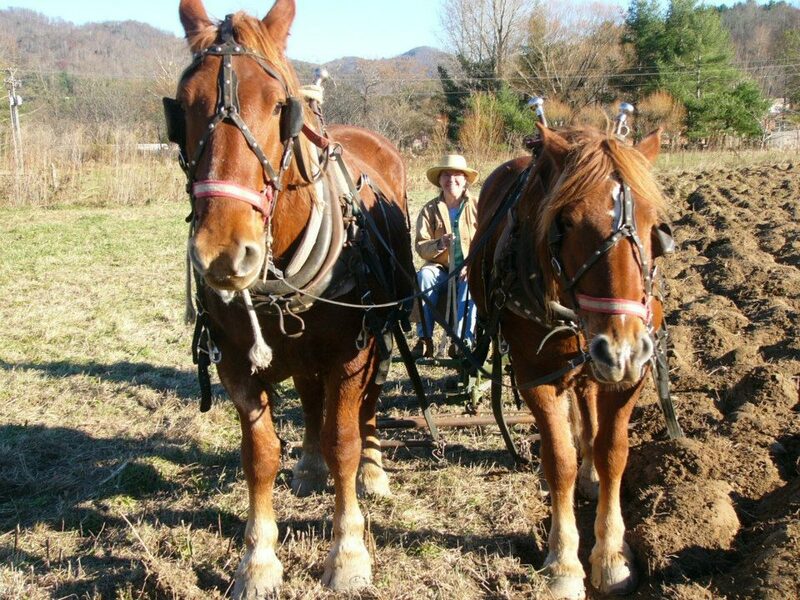 Horse Helpers of The High Country is a non-profit organization dedicated to the compassionate care of equines. 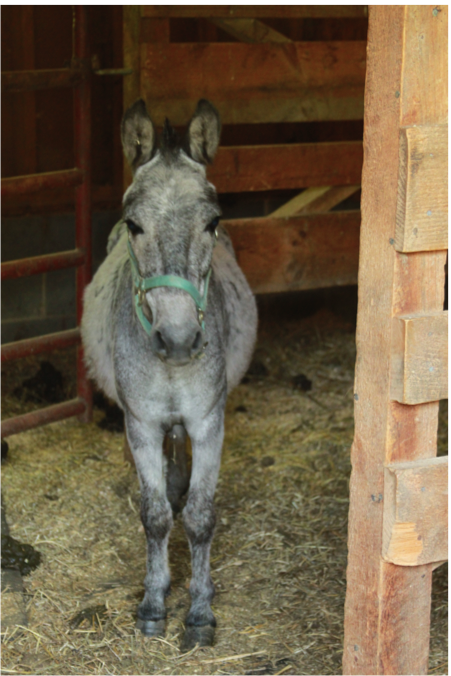 Our mission is to save, protect, and rehabilitate equines in need. We rescue abused, neglected, or abandoned equines; provide them with care and rehabilitation; and finally find them a compatible, loving home. When guests visit they will see the hard-work and dedication the residents of the Hospitality House (HH) and the community members put into this garden. 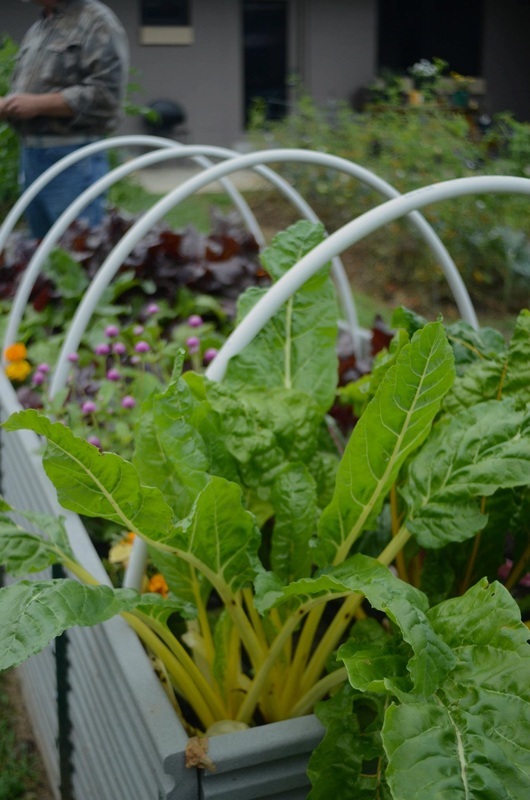 We have 28+ raised beds where we grow vegetables, fruit, and herbs for residents' use and the HH kitchen that serve three free meals a day to the public. This year we planted 22 new fruit trees, have added 4 raised beds to the garden, and a kids garden. Gardening teaches the residents that hard-work and dedication pays off and they get to see the fruits of their labor. The kids garden is to get children excited about growing their own food. Our hope is teaching residents gardening skills will allow for food security for them in the future. Peace in the garden in the valley. I have three acres under cultivation this year. We grow over 30 varieties of vegetables. Almost all of them are heiloom varieties. 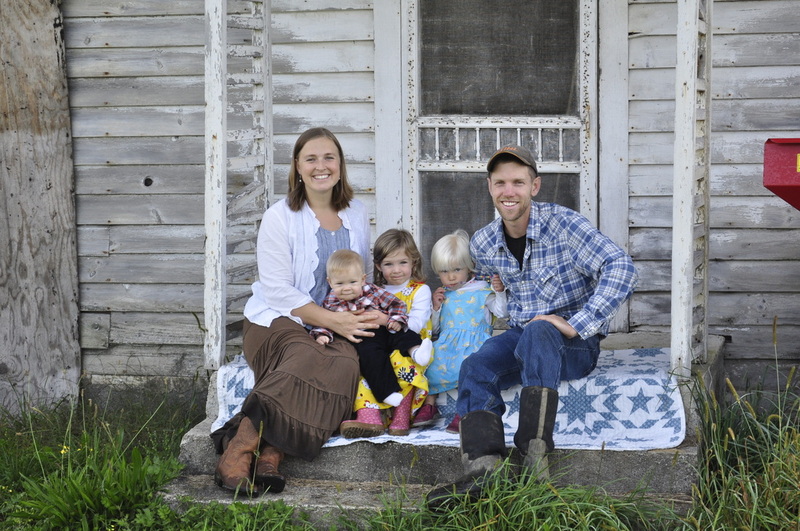 Nelson Family Farm is a 20 acre diversified farm that produces organic vegetables, eggs from pastured chickens, various pastured meat (primarily chicken) and honey produced with no chemical or antibiotic treatments. A visit to our farm may show you that you can begin to produce some of your own food, no matter how small your space. We work "regular" jobs (him full and me part time) and our farm grew out of a love of gardening and animals and a desire to feed our family, to the greatest degree possible, food of which we knew the origin. This year we will incorporate rotational grazing and we are also doing some pasture reclamation/forage improvement using a multi-species grazing model. 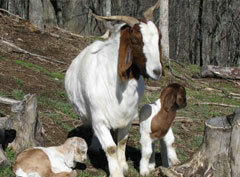 Come see and learn how we let each animal benefit the soil, forage, each other, and us! 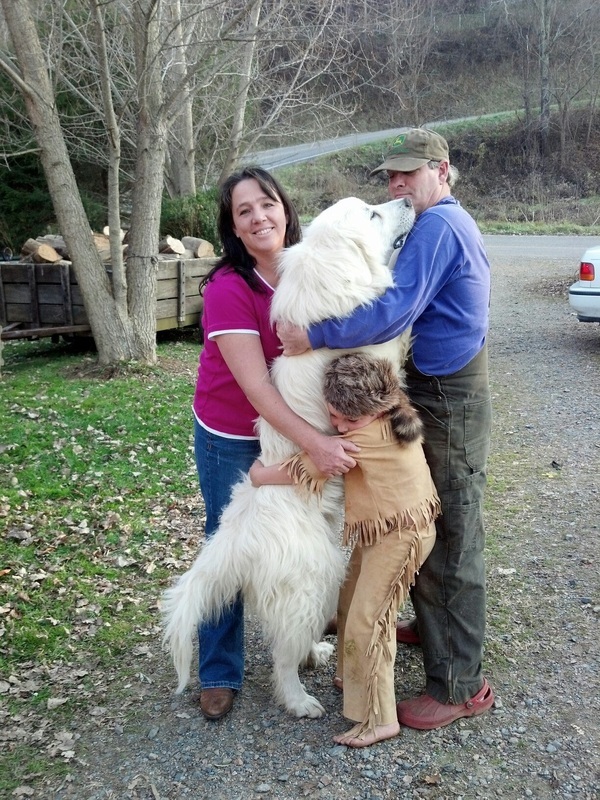 Children are welcome and there will plenty of petting available. 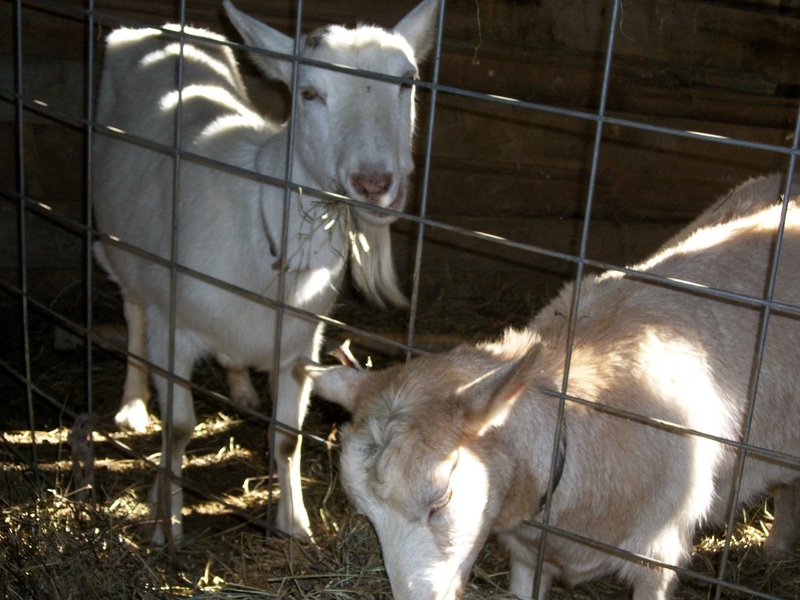 We have goats, chickens, pigs, horses, a donkey named Burrito, a mule named Moose, and of course dogs and cats. Frozen chicken, you pick veggies, and (hopefully) honey will be for sale. Refreshments will also be available. Guests who visit new life farm will have the experience of seeing first hand what is involved in the production of of the different products we offer, from organically grown vegetables to pastured pork and poultry. In addition to seeing how we operate, people will have the opportunity to hear our story and find out why we choose to farm the way we do. We also hope to do a free give away of either chicken or pork this year. 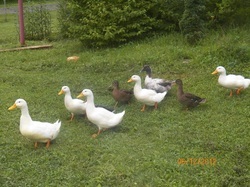 The Farm at Mollies Branch is a diverse, environmentally-friendly, no-kill family farm that specializes in free-range-chicken eggs, sustainably-harvested products (such as nettle), shiitake mushrooms, and various herbs/vegetables. Our current goal is to grow and eat only non genetically-modified food, share an exchange of knowledge and food with others, and provide a unique farm experience. 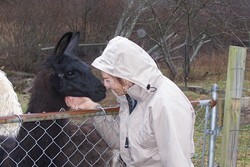 Mollies Branch features a creek-driven micro-hydroelectric system, ""happy chicken"" green or brown eggs, a small vineyard, kissing llamas and ""prehistoric"" artifacts. A farm stand will be available to buy produce. Our primitive camping cabin is available to rent for the individual or small group interested in getting away from a hectic or stressful schedule for a day or two.